Natural Home Remedies: Every woman wishes to get a skin that doesn’t need hiding with makeup or beautifying it – a skin that would naturally look flawless. Usually, women prefer to get their skin care from home remedies. This is a really wise step to take because the chemicals present in skin care products are often too harsh for the skin. It might even cause rashes. A home remedy is a medical procedure – it keeps your skin healthy. Your skin automatically shines when it is fed the proper things. This is why it is also important to eat fresh foods besides taking care of skin. Before you implement all these skin care tips, make sure that you also keep your lifestyle in check. Lack of sleep, excessive drinking, smoking and pollution are some of the major skin damaging causes. Since your skin is already on so much toxicity, you don’t want to give more toxic ingredients to it. The harsh face washes and those facials are good for to but they’re chemicals at the end of the day. Do you really want more of that to pound on your skin? Instead, why not use natural home remedies that will repair the damage and will be gentle on your skin? Is turmeric found in every desi house right? Did you know that turmeric is not just good for the liver, but it is excellent even when applied on the skin? It is a skin lightening agent and it also minimizes pigments and marks. On top of that, skin allergies and infections can also be treated with turmeric. It is an anti-inflammatory ingredient which can heal you. Apply turmeric regularly to revive your cells and look rejuvenated. Mix equal amounts of gram flour and turmeric powder and make a paste with a little water. Apply it on your skin and leave it on until it dries. You can wash it with lukewarm water or even use slow scrubbing motions to get it off. Do this once a week to lighten your skin tone or to remove any scar marks. Take some pineapple juice along with one tablespoon of turmeric powder. Mix it to a paste and apply it on your face and neck. Wash it off after it has dried completely with some lukewarm water. If you have dark spots then this remedy will help you get rid of them. They say that a coconut oil is the “magic solution” to everything. There are hundreds of uses of coconut oil – right from skin care to oral care. But we are going to stick to the skin care tips One of the things that make coconut oil so lucrative is the fact that it is laden with antioxidants. Thereby it prevents the skin from becoming dull and lifeless by fighting the free radicals. It also has strong anti bacterial and anti fungal properties which make it really suitable for all the skin care purposes. What’s more? Coconut oil even can fight signs of aging. The earlier you use to apply it on your skin, the better. To use it properly, simply warm some coconut oil until it is warm and applicable on skin. Let it rest gently on your hands, neck, legs and face. Massage it onto your skin for 10 minutes then rinse it off with lukewarm water. Use this treatment once every day especially during winters. Lemon is one of the best ingredients that you can use to cleanse your skin. Instead of using face washes you could simply use lemon because it has an immense cleansing effect. The citric acid present in lemon acts as the perfect ingredient to clear skin of impurities and dust. 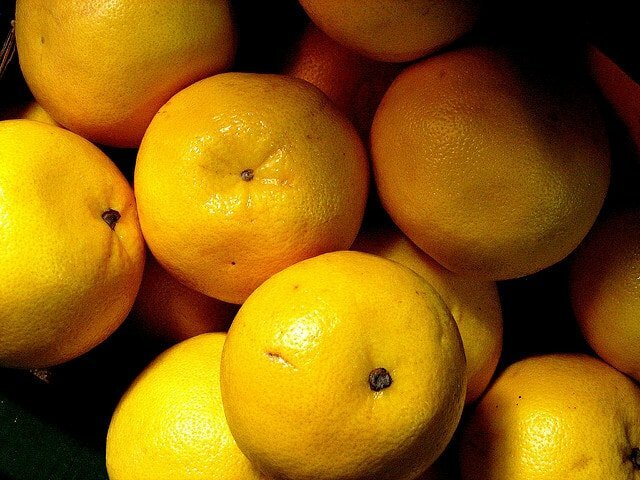 To fight off the pollution and the dust in the atmosphere, lemon is the perfect ingredient. Freshly squeeze a lemon and apply it on your face and neck. Leave it on for about 10 to 20 minutes and then wash it off with lukewarm water. After this to moisturise the skin you can apply some oil or just rub some cucumber on it. You can do this once every day or every other day. If you wish to exfoliate your skin using lemon then you can do so by applying some sugar with the lemon. Mix two tablespoons of the lemon juice with sugar and apply it on your hands, neck and face. Rub this mixture in a circular motion for about 10 minutes. Then rinse it off with warm water. Do this once every week to get rid of the lifeless dull skin. Another way to cleanse your skin with lemon is to squeeze half of it and mix with two tablespoons of honey (raw). Make it a paste and apply it on your face. Just leave it on for 10 to 20 minutes and then rinse it off. 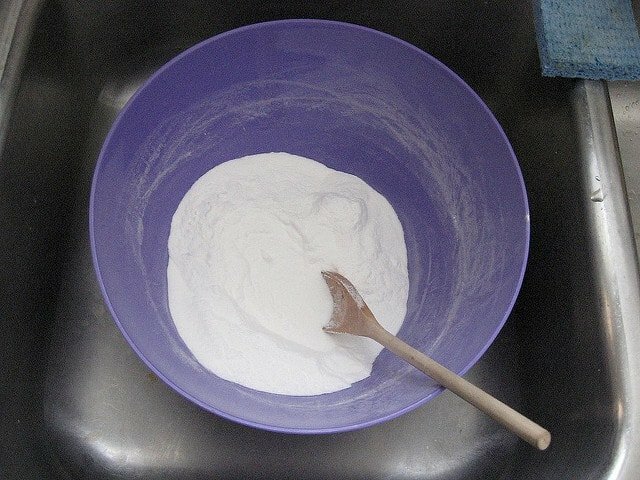 Baking Soda is yet another kitchen ingredient that does wonders for your skin. If you have had a party that led your skin to have many break outs then a baking soda can correct it. Baking soda has the natural capability of correcting the pH levels of the skin. When skin has undergone too many harsh chemicals or you are trying to correct the effects of a heavy makeup day, it’s at your rescue. Problems like pimples, acnes and spots can be easily dealt with baking soda. To remove dirt and mildly exfoliate skin, you can use baking soda. Take two tablespoons of raw honey and mix one teaspoon of baking soda with it. Dampen your skin and apply this mixture on it by massaging. Keep massaging for one minute until it has cleaned your pores correctly. Wash this off your face with warm water but splash some cool water immediately to close the pores. Do this once a week. Use baking soda along with lemon or water if lemon is too harsh for you. Simply add one teaspoon of lemon to one teaspoon of baking soda and make a paste. Cleanse your face with water and use this paste on the skin to gently exfoliate. Now wash your face off with lukewarm water after you have cleansed the pores. Pat dry your skin with a clean towel. You can do this twice or thrice a week. Ever seen the glow on the face of those Himalayan girls? They must have a lot of walnuts because it is so readily available there. You too can get some of that glow by using walnut simply. They have anti oxidants which promote skin radiance and they are invaluable in repairing skin. Take three walnuts and soak them in water overnight. Take them out and make a paste with them in the morning. Add a teaspoon of rose water to this and leave the paste. After some time, apply it to your face and then leave it for an hour. Use warm water to rinse it off later. This can be done once a week to get a naturally radiant skin. To make a high-quality scrub, use two tablespoons of plain yoghurt and two teaspoons of walnut powder. Make these two into a paste and scrub off the dead skin cells of your neck and face. You can apply it on your skin too if you like because it is very effective on the rough and coarse areas as well.After you apply it, you can let it dry for some time and then scrub it off. Rinse the cells with warm water – and splash some cold water on it. Don’t forget to pat dry it with a towel so that the pores remain set. Apply this as a face mask every once a week. Take equal amounts of cucumber and lemon juice and apply it on your face evenly. Make that it sticks as a mask and leave it on until it dries completely. After it has dried off, wash it with warm water. To get the best results, repeat this every day. Or simply, cut a cucumber into thick slices and rub them all over your face. Leave this on your face over night and then wash it off with warm water in the morning. Do this before going to bed on a daily basis to get a glowing skin. Honey has been used since the ancient days to make skin flawless. It is one of the major skin care tips that you can incorporate into your regimen. But of course, make sure that the honey is organic. Raw and pure honey is usually best for the skin compared to the ones that are usually available in the market. If you can find such honey then you can keep your skin moisturised and looking ageless. It can also keep diseases off you with its antibacterial properties. Apply the raw honey on your face directly. Let this dry off naturally and once it does, wash it with lukewarm water. Some of the honey will remain on your skin, you can pat it with a tissue if that feels excess for you. But it is meant to moisturize your skin.Make sure that your skin is not oily. It is best suited for dry and normal skin types. Usually, this will make your skin soft and supple. You can even apply it on your other body parts to make them softer. You can do it every other day or even daily. Take two tablespoons of milk and one teaspoon of raw honey. Add one teaspoon of gram flour to it and make a paste. Apply this over your face and leave this mask on for about 20 minutes. Make sure to rinse it off with warm water so that all impurities get removed. Use this once a week to get a clear and radiant skin. Here were the basic household ingredients that could give you the best facial of a lifetime. Use these daily and you would have a naturally glowing skin. Of course these are composed of a lot of scrubbing and masking recipes. Use them at your discretion at every alternate day. As we already told you, besides regular skin care, you need to change your lifestyle too. It has a great impact on your skin and by doing this correctly you can avoid premature ageing, dullness, pimples, etc. Sometimes some skin areas have specific problems. For example, there are dark spots and pigmentations on the cheeks and eyes. Then there two different skin types – for example, the mouth and eyes look dry while the T line is greasy. Every skin is different and all skin types have problems. Some of these problems can be easily evened out with the right lifestyle approach. If you are one of those that does outward skin care like exfoliating, moisturising but doesn’t make lifestyle changes, then you’re making a mistake. No amount of repair is going to work if you keep hurting your skin. Instead, use the skin care regimen as a way to vitalize your skin by first making some essential lifestyle changes. Usually it is recommended that you dink 8 glasses of water a day. But don’t drink water too much because it may cause a water addiction. The best way to go about it is to drink water in between snacks and drink a glass of water after you wake up. Then onwards anytime you feel thirsty you should fill yourself up. This has immense benefits on your skin. As for a fact, the pimples and acne are caused due to toxic breakouts. Also, the skin ageing and dullness is caused because of the impure blood in the system. By drinking water you are flushing out all those toxins and you are making sure that your blood stream is pure. This is the best way to get rid of those toxins. 15% of our skin is made up of water. You cannot ignore this. Prefix: during peak hours. From 7 am to 9 am you are free to soak in as much as vitamin D as possible. But stay away from the sun during the peak hours which are usually from 10 am to 2 pm. During this time the UV rays are quite strong. So make sure that you are wearing a sunscreen (above SPF 45) if you have to be out. The strong UV rays damage the skin’s texture. Not just that – repeated exposure to the sun at this hour can cause skin cancer. Try to wear clothes that cover the most part of your body when you are out in the sun. Carry an umbrella with you if possible. It is a must for daily skin care. As we already mentioned, toxins are causing major damages to your skin. By eliminating the toxins not just you get a glowing skin, but you also get a healthy body. They might even make you lose weight, but that’s another story. When your body is highly acidic, then toxins develop. The acidity is caused by a poor diet. Dullness, pimples, etc, are caused by excessive waste products that have accumulated inside the body. For doing this drinking water is essential, but that will not suffice. You can try out natural procedures that take anywhere from one week to 30 days. You will be put on simple fruits and vegetable diet to cleanse the system. Another easy method to detox your body is to kick start your day with a glass of warm lemon juice. Hydration is the key to a good skin. By drinking water you are hydrating your skin from the inside, but you have to hydrate it from the outside as well. This way your skin will be both radiants as well as clean. The bottom line mantra of skin care is hydration. Therefore it has been stressed so much in all the skin care tips. To properly care for your skin, cleanse it twice everyday – preferably in the morning and in the evening. Don’t over wash your skin. Twice a day is enough. Washing it more than this can cause your skin to become drier. The natural oils that are produced by the skin are essential to replenish it. This is why you need to wash it exactly two times. Also, use cold water right after washing it with normal water so that the pores get closed and no dirt can enter further. While you wash your face, always use circular movements. Never scrub your face while washing it can cause irritation. The pimples usually last for about three to four days but when there is an occasion nearby we tend to pop them out. We hope that they go away sooner but the opposite only happens. The scar caused by popping the pimples lasts a lifetime. It can also cause skin irritation and inflammation. The dirt that was accumulated can also gets pushed back into the skin and cause more pimples. So the best way to avoid this is to not pop the pimples. You can avoid blemishes by simply avoiding the urge to pop any a pimple. You can also apply your regular moisturiser – usually, it tends to pop by itself when you apply it. I know, you would say, “but I would if I could”. Well, now you have to – for the sake of your skin at least. Give yourself ample rest. All work and no play can make your skin very dull! Stress hormones release oil excessively, making white heads appear. Get at least 7 to 8 hours of sleep and go to the spa and relax. Exercise also gets rid of some of that stress. But overall it pumps blood faster and that blood flow itself gives your skin a jolt of radiance. Those who do intense cardio have a glow on their face from the blood that well circulated in their body. This is both a miracle and a cure.